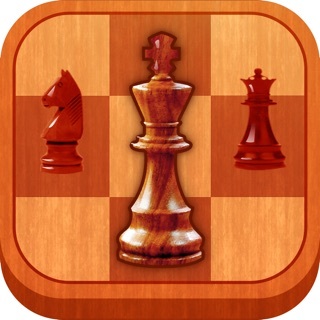 The traditional game of chess made easier and quicker, perfect for iPhone and iPad. 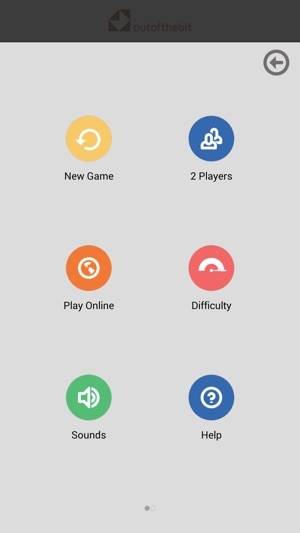 Download it now for free and start play in just 1 tap! 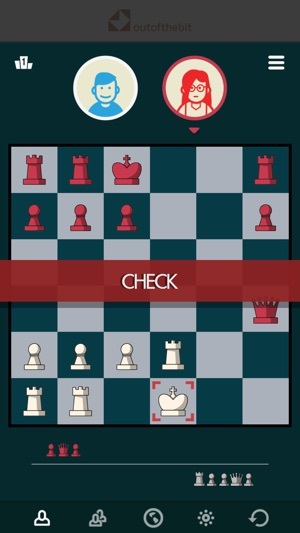 Mini Chess is a modern simplified version of the classic chess, perfect for playing on your phone and tablet, on your own, with 3 level of Artificial Intelligence, or with a friend on the same device (multiplayer). 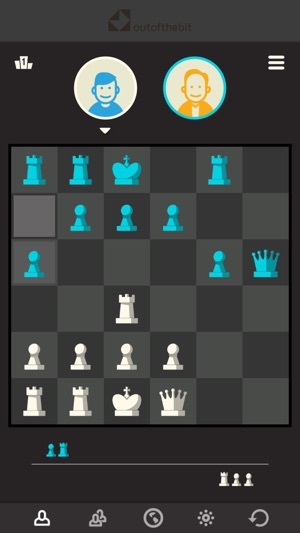 Play on a smaller chessboard (6x6), with less pieces (no knights and bishops) and have fun on more speedy matches then classic chess. Play straight away, with friends, online or ‘solo’, and every match can take just minutes. Mini Chess is also perfect for kids to start play the all-time-favourite classic board game. Kids and beginners will find it so easy to learn and to enjoy in just 1 tap and experts will love the new challenge of playing in a different setting. Love this quick game... 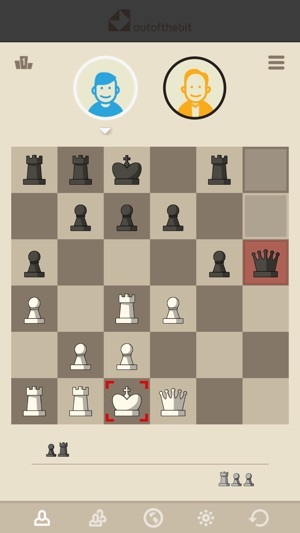 I am really getting back into enjoying regular chess but it takes too long. 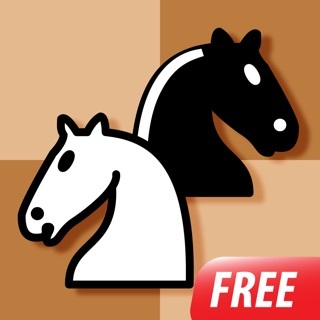 This game is perfect for when you just crave the mental stimulation of chess but really don't have the time to play a full fledge chess game. 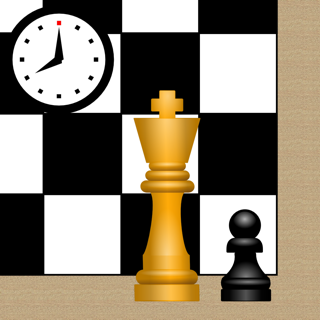 In this game I love to make quick moves and in a few minutes it's time to play another match. 1. Add a Knight (but maybe that will take away from the speed of this game). Or have the option to play with ALL Knights instead of all Rooks. 2. Add a few more tougher levels. Thank You for Free App!! It is a quick and easy simple pocket game to play. 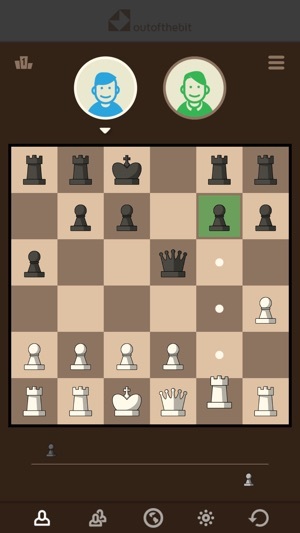 I would wish you could create your own board but it wouldn't go on a real leaderboard and maybe add a feature to play real chess. But still 5 stars no doubt.